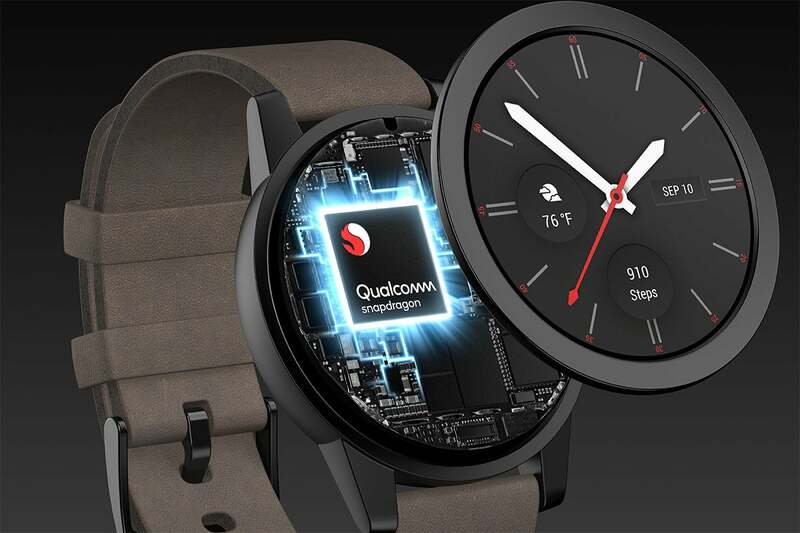 Why Qualcomm's latest move is a game-changer for both the smartwatch and watch markets. I believe the near-term future will largely be defined by wearable devices, but there’s no denying the class started ugly. First, we had the incredibly foolish Google effort called Glass. Then Apple decided to toss out the brilliant product, marketing and naming strategies that resulted in the iPod, iPhone and iPad and created the Apple Watch. While still powerful enough to set an industry trend, the move almost terminally destroyed what we now consider to be the smartwatch market. You see, with the iPod, iPhone and iPad Apple defined the products themselves. But when you call something by a name that’s already defined – like “watch” – that name then defines the product. But the Apple Watch wasn’t a “watch” – it was more of a wearable iPod. Wearable iPods were incredibly popular at one time. People would take the smaller versions and strap them on their arms, so they could have music while they exercised. And in terms of execution, the Apple Watch is a great product. But the thing isn’t a watch. It never embraced what a watch was and to use the name of a thing you must become that thing. Well Qualcomm finally fixed this oversite. While they didn’t correct Apple’s naming mistake, they have created a platform that finally embraces the name smartwatch…and watch companies are finally getting interested. This is a game-changer. Watches began largely as pocket watches, and they were as much a statement of wealth and position as they were time pieces. Initially, only the wealthiest could afford them…and even as prices dropped they continued to be a statement of wealth. Eventually, pocket watches became wrist watches – but they never lost that focus on being a statement of wealth. Today, Rolex watches are still given to employees and executives to showcase major achievements. There are a lot of people still fascinated by watches, but these people, until now, haven’t been interested at all in smartwatches. Think about this way: pretty much everyone that had a Sony Walkman migrated to the iPod, and pretty much everyone that had a flip phone migrated (at least at first) to an iPhone. The only reason this wasn’t as complete a migration is because Google effectively cloned the iPhone at a lower price. But Android phones were (and are) still nearly identical to the iPhone that started the current dominant trend. Take Invicta, one of the more popular watch brands. I’ve been to their events, and they have collectors that buy up damn near every phone they make – and they make hundreds of different phones. You don’t need 50–200 watches, but people collect and wear them as statements of wealth and success. The problem with smartwatches is they have blank faces most of the time – because they need to conserve power – so they really only look good when the user is engaged with them…which misses the entire point of a watch being a statement of status and power. And, unlike Rolex or Invicta watches, the smartwatch ages out, and there isn’t much diversity in the line. By the time you collected a few of them, chances are the first ones you acquired will have become obsolete. Qualcomm may have fixed the first part of this equation, but the watch makers will still have to fix the second. The Qualcomm Snapdragon Wear 3100 platform allows for a pervasive display, and the watches have battery life measured in days, not hours. This means that a watch maker can create a watch with a pervasive, attractive face designed to work with the watch case and look good to others, not just the watch user. Therefore, companies like TAG Heuer and Louis Vuitton (who owns TAG Heuer and Hublot) are now planning on releasing smartwatches by year’s end. Finally, we have smartwatches that embrace the idea of a watch being a showcase of wealth and status. The part the watchmakers need to address is collectability…and that suggests a modular approach, where the movements and the cases are separate. That way you can buy and collect cases and then insert your up-to-date smartwatch component (which will then morph its display to match the case it’s placed in). I’m aware that TAG Heuer was working on a project like this about a decade ago, so my money is on them getting this right first. This should be a sustaining lesson particularly as we move to advanced robotics and autonomous vehicles. If you’re going to create a robotic maid, for instance, it better do what a maid does, or it won’t sell well. Robotic pets better be like pets. And if we continue to think of autonomous cars as wheeled elevators and don’t rebrand them, the result could be equally disappointing. We can certainly still do the iPod thing and create brands that allow us to define the product by what it does…but that appears to be a skill we lost with Steve Jobs.